This concept of “Gateworking” extends back to ancient times when the priests worked alongside the ANUNNAKI in maintaining the Star-Gates of these “Sky-Gods,” (or “Star-Gods” or “Astral Gods” depending on semantics) places where glamour and mystique have since been lost when their power was deactivated and/or forgotten. These buildings were commonly stepped-pyramids built in seven stages and possessing seven main sections on their ascent. The most important (for our purposes) being the E.TEMEN.AN.KI or “Foundation Bond of Heaven and Earth” and another being the E.SAGILA (or ISAGILA), the official shrine-temple of MARDUK in BABYLON. The BABILI formula becomes increasingly important to follow for these structures to possess their authenticity. This method grew in popularity in the Egypto-Babylonian Hermetic mysteries and, of course, the Chaldean and Mithraic traditions (and Zoroaster or Zarathustra) of older pre-dynastic models have a relatively higher focus on physical construction. It later became an important function of the priest and priest-king to oversee maintenance of (already built) temple-shrines as well as the activation of the symbolic-astral (energetic) “veils” or “layers” of the individual body-temples of the population. The “Precession of the Gates” becomes the next topic in question. The “traditional” order familiar to prior devotees of Simonian Necronomics is valid for it’s purposes, but somehow in the world of form, in the physical construction of the Gates, the order is directly opposite from our vantage point. Additional lore coupled with this offers a few key complimentary suggestions. Firstly, that there are two sets (realizations or experiences) of “Gates” as is mirrored in the Semitic vision of the same “genetic tree” or Kabbalah one of “life and order” and another of “death and chaos,” but both under the watchful “Eye” of the One. Secondly, logic suggests that any series of thresholds placed in a successive order, such as this, is either single-directional, or again, subject to relative interpretation. In our traditional case of creating “astral shields” over our “spirit-form” (such as was done originally to bind the spirit form into the “matrix” of light rays that is called “physical existence”) a Seeker works from the “first gate” as a base to begin self-initiation (or purification and re-dedication), in this case, the Moon. But, when we stand at the base of the physical Gate to the Gods, we are standing at the “Step of the Saturn Gate”, meaning that the tradition was designed first of and for the ANUNNAKI, themselves, for when “they” descend, from the top of the “ladder”, the first gate “they” come into contact with is the Moon. The lunar veil is also what most have experienced as the astral or “dreamscape” and so it is considered in many ways to be the most “accessible” or ‘nearest’ to the human range of experience of them all. Would You Like To Know More ??? …a “threshold” or “portal” is quite simply a “gateway.” Modern practitioners believe that via the Universal Akasha (or superstrings) all things are connected. Different circumstances and natural conditions affect this “bridge” between worlds. In ritual meditations and ceremonial magick, the Nemeton (sacred space) serves as a temporary energetic threshold by which one is able to evoke (call forth) external powers that exist in the “invisible” (or what is “outside” of our normal perception of time-space). In ritual meditations and ceremonial experiments, a “visible” counterpart or tool often represents “invisible” forces. For example, elemental tablets, elemental weapons and the like, are attractants, meaning catalysts for the specific elements being invited and made manifest through magickal work. Another example: regularly casting a circle or using the Watchtower Ceremony in a particular locale can change the vibrations (resonance impressions) of that space. Meditating and studying from the Mardukite NECRONOMICON ANUNNAKI BIBLE (edited by Joshua Free) and the astral connections made via the Mardukite GATES OF THE NECRONOMICON (Year-2 anthology, also edited by Joshua Free) are believed to open personal channels and establish resonance specific to the planetary or otherwise “Olympian” deities realized in their rawest form as the Anunnaki pantheon, described best by the ancient Sumerians, Babylonians, Akkadians, Chaldeans, Assyrians, and the like – they are encountered elsewhere in geography and history by other cultures and in names from other languages. A practical exploration of rituals and rites from these traditions is also found in Joshua Free’s Mardukite NECRONOMICON GRIMOIRE (Year 3 anthology). Since time and space are relative in the Infinite Universe, so are the thresholds. Energetic events in other dimensions (astral, Otherworld, etc.) that are connected to ours will produce effects in our world. Cosmic events can have repercussions on the energies that manifest by the elements through weather and natural terrain. Certain times and places simply “feel” more magickal than others, and while there are energetic causes behind this, they tend to go unrecognized. Historically, mystics observed different effects under varying natural conditions and this lore comes to use in the New Age as magickal timing (using the Moon, Sun and planetary influences). Grimoires and archaic ritual texts frequently specify the timing of the operation or events that must coincide with it (e.g. an equinox or solstice). The ritual then continues with the wizard doing something in the visible realm to affect the energetic vibrations via the invisible realm. In essence, the wizard does something “here” to affect something “there,” appearing as though remotely manipulated like a screen and keyboard, but in truth “here” and “there” are entangled as one. SO…WHAT ABOUT THE TRADITIONAL “GATES OF THE NECRONOMICON”??? According to standard Babylonian/Mesopotamian tradition and as famously described in the Simonian Necronomicon, there are seven “planetary” thresholds encountered when the shaman or wizard is “rising on the planes” of the Ladder of Lights, or “Stairway to Heaven” – a form of “initiation via the Astral Plane.” This is comparable to the “Rising on the Planes” (or aethyrs) of Enochian Magick. It is also understood, much as displayed in other kabbalistic models of metaphysical cosmology, that access to a very real Gate or Door to the “Other” is concealed within the system. However it may be accessed directly, one things is for sure: This is the very “magic” for which BABYLON was named for! This necrogate.com blog post is derived and extracted from the “Hidden Keys to the Necronomicon” essay by Joshua Free, as delivered to the Mardukite Chamberlains (Mardukite Research Organization) in 2009. It appears in the current fifth anniversary 6th edition of the NECRONOMICON ANUNNAKI BIBLE in addition to the new special NECRONOMICON compact edition and the complete Year-1 and Year-2 mega-anthology NECRONOMICON ANUNNAKI LEGACY SILVER EDITION. The divinity that once communicated regularly with the priests and sages of the ancient world left us with clues that have become reinterpreted today as either blatant fantasy or as yet another mirror of the Christianized divinity with “mythological” names and attributes. What has been described as physical “Star-Gates” to some, become interpreted as “astral impressions” to others. They are essentially accessed by consciousness via the light-body journeys and astral work conducted in self-honesty. Kenneth Grant explains the purpose as “approaching the gateways, between which and humanity there exists a solution of continuity that may be transcended only by the magick of…” ‘the Mauze Zone’ — what is essentially “dream work” or controlled lucid dreaming, which is almost identical in nature to the “pathworking” or “rising on the planes” encountered in related light-body journeys of the Mardukite Anunnaki Tradition! 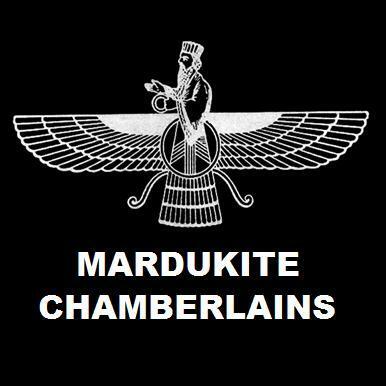 This mardukite.com blog post is derived from the “Astral Body of Light” lecture by Joshua Free, adapted from Liber-G and found among introductory prefaces for the complete NECRONOMICON ANUNNAKI BIBLE and the new Fifth Anniversary NECRONOMICON COMPACT EDITION. At the center of our being contains the Divine Spark of the Source, that which is Eternal and at the core of all vibration. Entering and activating the “Body of Light” with regular practice will not only increase your mystical abilities but also the true understanding (or “experience” if you wish) and auric strength necessary for Gatekeeping (also called Gate Walking in the Simon-derived tradition). Each time the light body is activated it becomes easier to do so the next time because you are becoming more consciously aware of it and your abilities. Initially entering the “Body of Light” is, as the mystic masters of the past have expressed, a matter of visualization or concentration and intention or willpower. The proper use of these faculties is what all metaphysical pursuits are really made up of in spite of their outer form. This manner of operations is quite different from the “word and gesture” techniques found in more contemporary practices, which are actually more effectively executed once the operator is operating from within the light body. Be sure that you are comfortable in your environment and properly prepared (and purified) in your internal set. –Focusing all of your awareness as a (ball of) light in your feet. –Slowly bring this light and awareness throughout your entire body as you perform progressive muscle relaxation coupled with regulatory breathing.